Discussion in 'Install & Upgrades or Pre-Install Questions' started by Oxide, Apr 27, 2015.
i added vhost, how can i kill it without rebooting? it was probaly cus sometimes i dont exit it using 22 option ..
also for some reason when rebooting nginx takes forever to start i see like "sleep 60" i dont know if that matters, no idea what that is..
how are you restart nginx ? either of these ? the more nginx worker processes you have + busier the nginx is with active connections, the longer it takes to restart nginx usually. if you don't need an immediate restart, just reload instead which exits nginx processes after the current existing work load is done for worker processes. 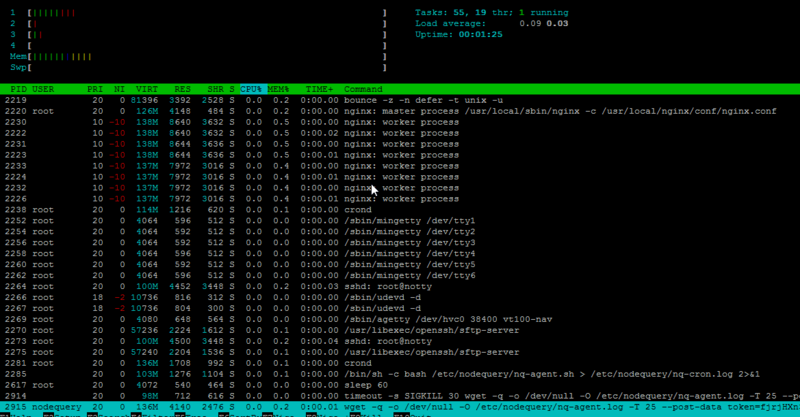 nginx takes forever to start after rebooting (the server already started). also another question after another: when new centmin version comes out will it be easy to update or will i have to re install? Centmin Mod optimises nginx work core allocation so that it leaves some cores for non-nginx work loads like mysql/php-fpm instead of assigning them all to nginx.